22 piste(s) Trance sur 121 MusicStore, en MP3 HD et sans DRM. [En] System F is the best-known alias of one of the world’s best electronic music producers, Ferry Corsten. 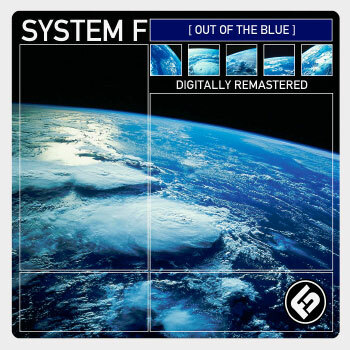 System F’s debut single, ‘Out Of The Blue’, was first released in 1999 on Tsunami, Ferry’s imprint around those days. There are almost no limits to what impact « Out Of The Blue » made on the music scene around that time. Not only did it become a massive chart hit in many countries, but it completely changed what electronic music was about at that time, and it was the first noteable milestone which opened doors for the second generation of big trance jocks, being Ferry Corsten, Tiësto and Armin van Buuren. « Out Of The Blue » was licensed to U.K.. Spain, Japan, Germany, France, Australia and many more, ended up on millions of compilation copies, and topped various international hit charts. Obviously Ferry continued with the System F project, launching the beautiful vocal single « Cry » as follow-up, with original remixes by Oliver Lieb and Rank 1. Later singles were the anthem for 2001’s Dance Valley, Holland’s biggest outdoor dance festival, and a collaboration with Armin van Buuren on the track « Exhale ». All these gems and many more (including a song with Soft Cell’s Marc Almond) can be found on the album ‘Out Of The Blue’. A remastered re-release of the album is scheduled for February 22nd 2010, where the original album will be complimented with a second disc with many of the original remixes and unreleased material. The name System F comes from Ferry’s systematic way of producing, as he always start with looking for a melody, then fills in the bass and kick, and so on, and so on, and the F obviously stands for fantastic, fabulous, Ferry! La description de l’album Out Of The Blue Remastered de System F n’est pas disponible actuellement. Commentez cet album et gagnez des cartes de téléchargement gratuit et/ou des Ipods Apple.